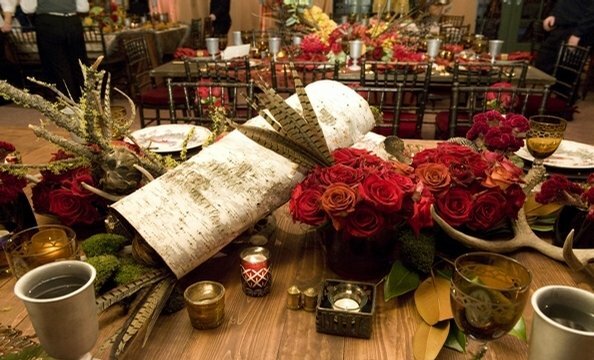 Birch logs, moss, pheasant feathers, moss-covered branches, deer antlers, and roses. 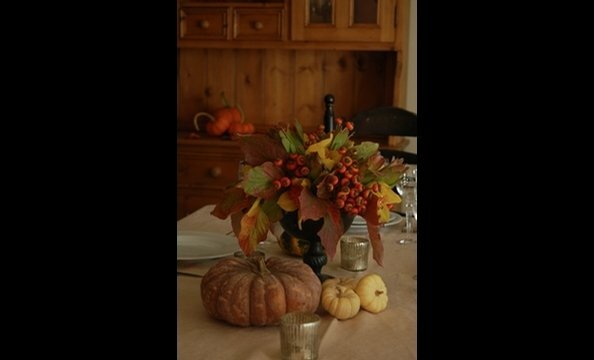 Kale, blaze mums, bittersweet, dusty miller, hydrangeas, and seeded eucalyptus. 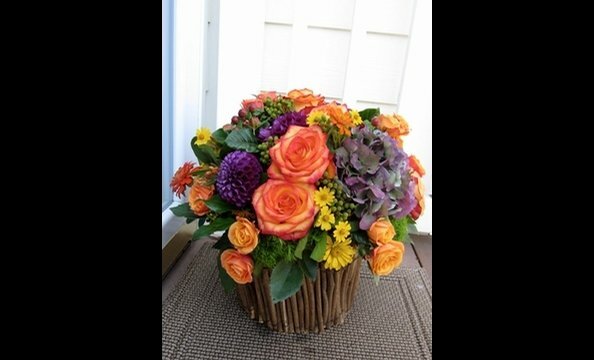 Roses, lilies, mokara orchids, pumpkins, Chinese lanterns, asters, cattails, amaryllis, and bittersweet. 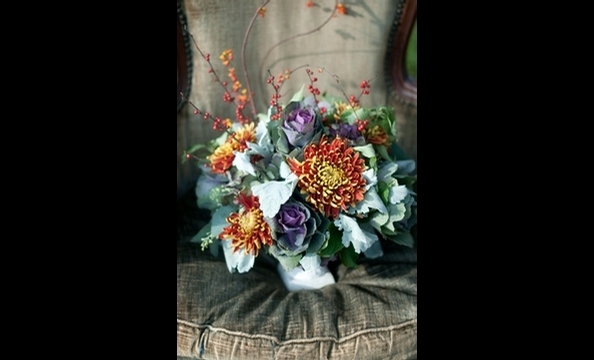 Antique hydrangeas, dahlias, roses, spray roses, berzillia berries, wild daisies, and seasonal foliage in a twig basket. 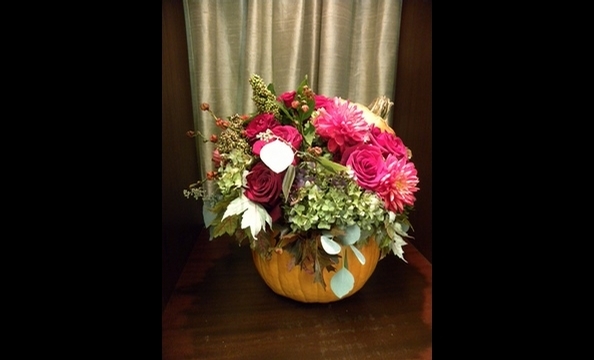 Hydrangeas, black magic roses, dahlias, amaranthus, oak leaves, and seeded eucalyptus arranged in a pumpkin. Large and mini hydrangeas, cymbidium orchids, jade roses, Granny Smith apples, limes, dried lotus pods, and pheasant feathers. 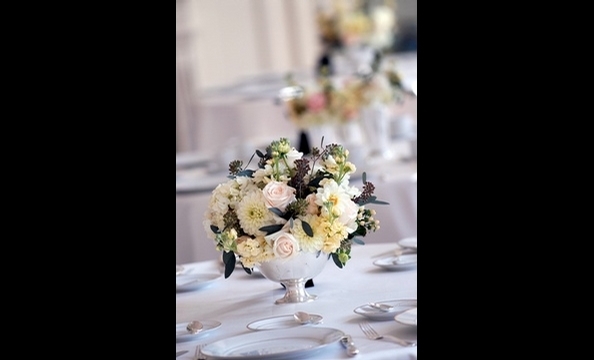 Hydrangeas, vendella roses, Sahara roses, white hypericum berries, dahlias, and cream stock, with accents of seeded eucalyptus in a silver footed bowl. 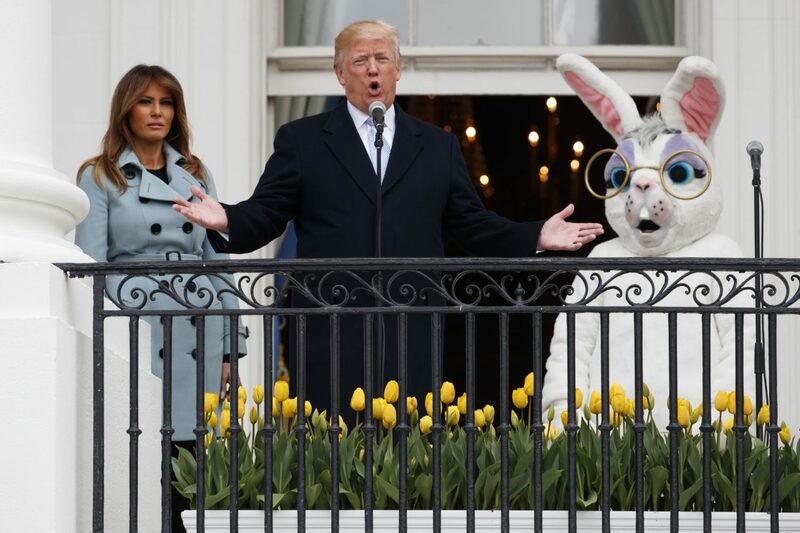 Topiary of dried wheat banded with satin ribbon. 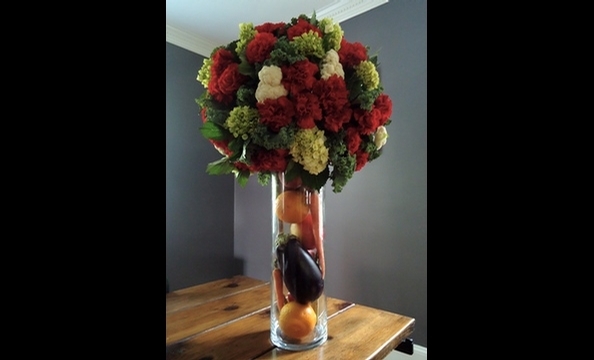 Hydrangeas, carnations, kale, and cauliflower in a vase filled with citrus fruits, carrots, and eggplant. 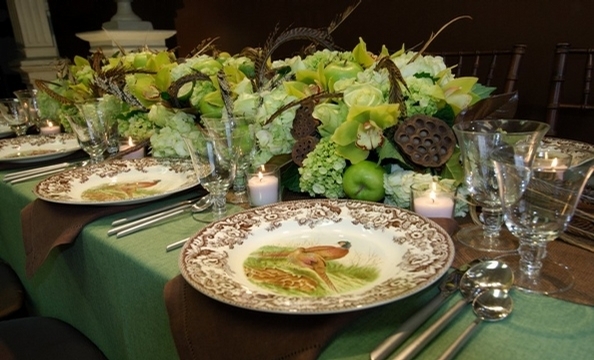 Hydrangeas, calla lilies, artichokes, wheat, curly willow, circus roses, fiddlehead ferns, and mokara orchids. 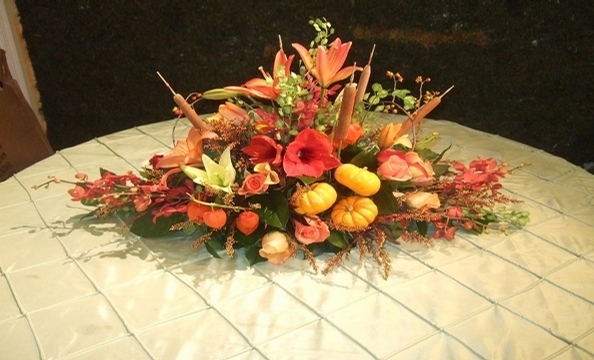 Dogwood foliage, rosehips, cymbidium orchids, and gold strike protea in a bronze urn, surrounded by heirloom pumpkins. 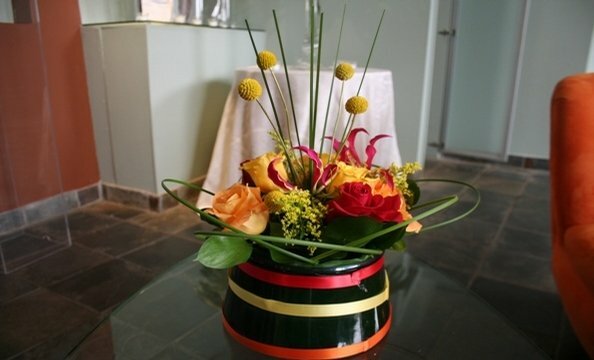 Roses, gloriosa orchids, goldenrod, ruscus, billy balls, and kangaroo grass. 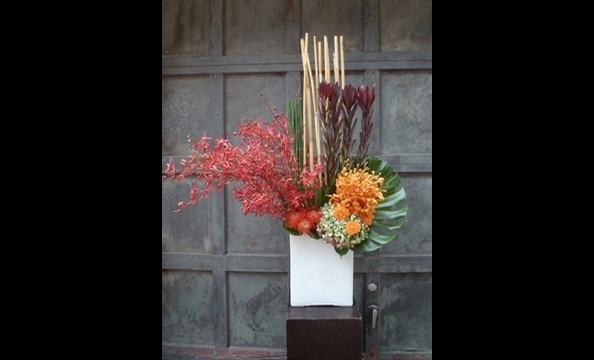 James Story orchids, bamboo, horsetail, safari sunset, pincushion proteas, mokara orchids, hydrangeas, dahlias, and monstera leaves.